The main objective of this was to investigate the relationship between depression, dysfunctional attitudes (DA), and their effect on quality of life (QoL) in a sample of Romanian Hungarian cancer patients. Our sample consisted of 376 patients hospitalized with different types and grades of cancer, and was assessed with the Beck Depression Inventory, the Dysfunctional Attitudes Scale, and the Functional Quality of Life Scale. We have found significant differences in depression only between age groups; significant differences in quality of life between age groups and different levels of education; significant differences of dysfunctional attitudes have been found between rural and urban patients. As our data have revealed, in the assessed population one of the most disturbing psychological changes that may accompany this life threatening illness consists in the heightened levels of depression. Taking into consideration the specificities of the traditional rural Romanian Hungarian culture, the reasons for these differences in depression and QoL may be induced or catalyzed by other mechanisms as well. The significant, though weak correlation between dysfunctional attitudes and depression supports this presumption. We suggest that cancer patients may need more individual-tailored and culture specific interventions. Key words: psycho-oncology, depressive symptoms, dysfunctional attitudes, quality of life. The diagnosis with cancer, its prolonged treatment and physical side effects can have a profound impact on the patient’s life. Approximately 25% of the patients diagnosed with cancer report considerable levels of distress around the event (McDaniel, Musselman, Porter, Reed, & Nemeroff, 1995). This first stage is characterized by intense symptoms of anxiety, depression, cognitive, and behavioral impairments in functioning. Usually, after approximately 2-3 weeks, the levels of distress seem to decrease (Chaturvedi & Maguire, 1998; Nordin & Glimelius, 1999), the person bouncing back to an acceptable level of functioning, while trying to incorporate the event in an accommodating way into his/her life narrative. Nevertheless, a significant part of research has not found any kind of decrease in the levels of distress (Omne-Ponten, Holmberg, & Sjoden, 1992; Vinokur, Threatt, Vinokur-Caplan, & Satariano, 1990), patients experiencing anxiety and depression even years after diagnosis and cessation of treatment. As concerning the relationship between cancer and dysfunctional attitudes, long-term cancer survivors may have recurrent thoughts about the diagnosis and experience a greater sense of uncertainty about their health, about their future, and fears regarding the recurrence of the cancer (Tross & Holland, 1989). Severe, life-threatening illness does not only affect a person’s organism; it affects his/her entire life on all its dimensions, exerting physical, psychological, behavioral, social, and sexual changes. The study, diagnosis, and treatment of severe illness has until recently been interested mostly in length of survival, physical and psychological changes, taking little account of the way patients perceived themselves in the particular situation. Nevertheless, most recent approaches have taken seriously into consideration this aspect as well, within the concept of quality of life (QoL) after diagnosis and/or installation of illness. The issue of QoL becomes even more stringent in clinical oncology, where both diagnosis and treatment are severely debilitating (Fayers & Bottomley, 2002). In this specific situation where the changes produced by surgical and/or non-surgical interventions (radio-therapy, chemotherapy, etc. ), the implications of the highly charged psychological nature of the diagnosis itself, become decisive factors that increasingly participate in treatment decisions. Consequently, the investigation of the factors implied in QoL along other parameters of the illness is strongly supported by the actual health policy targeting the prevention of premature mortality and morbidity, and simultaneously enhancing QoL itself (Pojoga, 2001). The World Health Organization defines QoL as “an individual’s perception of his/her position in life in the context of culture and value systems in which he/she lives and in relation to his/her goals, expectations, standards and concerns” (WHOQOL, 1994, p. 25). Most frequently, QoL is defined as the subjective perception the patient has about his health status, as well as the changes within his/her health status that may be affecting his/her daily functioning (Spilker, 1990; Pojoga, 2001). A considerable number of studies have found a significant relationship between dysfunctional attitudes and depressive symptoms (Marton, Churchard, & Kutcher, 1993; Weich, Churchill, & Lewis, 2003). Dysfunctional attitudes are negatively biased assumptions and beliefs regarding oneself, the world, and the future (Beck, 1976). They contain and reflect the content of stable cognitive schemata (Beck, Brown, Steer, & Weissman, 1991; Macavei, 2006), thus becoming a central issue in depression, presumption strongly supported by cognitive behavioral theories (Beck, 1979). Dysfunctional attitudes may reflect negative maladaptive cognitive biases in which, compared to positively valenced information, the importance of negatively valenced information is exaggerated (Beck, 1976). The level of dysfunctional attitudes usually increases beyond the healthy range in case of depression (Beck, 1976). Several findings suggest that dysfunctional attitudes impair spontaneous recovery from depression and that the effects of antidepressant drug treatment may obscure this effect (Lam, Green, Power, & Checkley, 1999). Other findings have confirmed a positive, direct association between the level of dysfunctional attitudes and level of depression. The presence and persistence of these dysfunctional attitudes evidently heightened the development of symptoms associated with depression. A considerable amount of research has dealt with investigating the relationship between depression and dysfunctional attitudes. Similarly, the relation between depression and quality of life has also been thoroughly studied. Nevertheless, to our knowledge, the relationship between dysfunctional attitudes and quality of life in cancer patients has not been addressed. Moreover, as a recent research targeting differences in levels of depression in Romanian cancer patients has revealed (Dégi, Kállay, & Vincze, in press), the Romanian Hungarian cancer populations has proved to be significantly more depressed than their Romanian counterpart. Consequently, we consider very important the investigation of the possible relationships between depression, dysfunctional attitudes and quality of life in this sample. This aspect is extremely important, since this particular population has scarce access to specialized intervention. The major objective of our study is to investigate the relationship between depression, dysfunctional attitudes, and their possible effect on quality of life in this special cultural environment. The impact of some demographic factors previously investigated in relationship to these constructs (Degi et al., in press) will also be explored. The patients included in this study were all diagnosed with different types and grades of cancer (34 % breast cancer, 19 % cervical cancer, 17 % prostrate cancer, 30% lung cancer). All patients were hospitalized at the time of assessment. The sample consisted of N=375 patients hospitalized at the County Hospitals in Miercurea Ciuc (Oncology Department) and Târgu Mureş (Oncology Department), with ages ranging from 18 to 80 years, coming from both rural (66) and urban (277) environments. 207 of the participants were female patients and 168 male patients. All patients were assessed 12 to 14 months after being diagnosed. Depression and depressive symptoms were assessed by the shortened, nine-item version of the Beck Depression Inventory (BDI). This inventory has been found to be a reliable measure of depressive symptoms, and symptom severity both on Hungarian and Romanian populations (Kopp & Skrabski, 1996; Rozsa, Szadoczky, & Furedi, 2001). In this study the internal consistency for the scale was .87 (0= owest score, 27=maximal score) (see scale in Appendix 1). Generally dysfunctional attitudes are assessed with Dysfunctional Attitudes Scale (DAS) developed by Weissman and Beck (Weismann & Beck, 1979) and used in many studies in relationship with assessment of depression either directly or as a vulnerability factor (Beck, Rush, Shaw, & Emery 1979). In our study we used the shortened, 8-item version of the original scale. The internal consistency of the scale for our population was .62 (8=lowest score, 32=maximal score) (see scale in Appendix 2). One of the most appropriate assessment tools used to assess QoL in cancer patients is the FACT-G (Functional Assessment of Cancer Therapy -General, assessing four dimensions of QoL in cancer patients: physical well-being, social/family well being, emotional well-being and functional well-being. Our study has focused on the 7-item functional well-being subscale, which in our population had an internal consistency of .79 (see scale in Appendix 3). All participants were asked whether they agree to participate in the study or not. After receiving their verbal agreement, the participants were asked to complete a demographic questionnaire, requiring data about age, level of education, provenience (rural vs. urban), and ethnicity. After completing this, they were asked to complete the nine-item version of the BDI, the DAS and the FACT-G described above. In Table 1, we present the descriptive statistics for the demographic variables. Table 1. Descriptive statistics for the demographic variables. In Table 2, we present the impact of demographic data on depression, dysfunctional attitudes, and quality of life. Table 2. Impact of demographic data on depression, dysfunctional attitudes and quality of life. *Probability values for Bonferroni test for continuous variables (covariates age and gender) were calculated. As the results in Table 2 indicate, we have found significant differences in levels of depression between all age groups, meaning that the most depressed are the patients over 66 years of age, and least depressed are individuals belonging to the younger generations. By the same token, depression varies significantly depending on the level of education. The most depressed are those who have fulfilled only mandatory education. We have found no significant differences in the level of depression between high-school and university graduates. Interestingly, we have found no significant differences within the group depending on gender, age, and level of education regarding the level of dysfunctional attitudes (DA). Nevertheless, our data have revealed significant differences depending on environment (rural-urban), meaning that cancer patients coming from rural areas have significantly more dysfunctional attitudes (p<.05) than urban cancer patients (see Table 2). Regarding QoL, we have found significant differences between age groups. More specifically, older patients relate significantly the lowest quality of life, while the younger cancer patients do relate significantly higher quality of life. By the same token, there are significant differences depending on levels of education; those who have fulfilled only mandatory education report a lower quality of life than those with higher levels of education. Table 3 presents correlations between depression, dysfunctional attitudes and quality of life. Table 3. Correlation between BDI, DAS, and FACT. As the results in Table 3 reveal, there are significant, nevertheless modest relationship between depression scores and DA (r=.155), while significant and strong relationship between depression and QoL (r=.56). Based on our previous research (Dégi et al., in press), and present data, in the assessed Romanian Hungarian cancer population one of the most disturbing psychological changes that may accompany this life threatening illness consists in the heightened levels of depression. The more depressed the patient is the lower his/her quality of life is. These results were consistent along age groups and different levels of education: older patients were found to be significantly more depressed than younger patients, and their quality of life was also significantly lower that that of younger patients. The same results have been found across levels of education. Those with lower education are significantly more depressed and have a lower quality of life compared to their more educated counterparts. We have found no significant differences neither in levels of depression and quality of life between patients coming from rural and urban areas. However, we have found significant differences of dysfunctional attitudes between these groups; namely, rural patients have a significantly higher level of DA than do urban patients. These results may hint at the possibility that in the case of rural population, dysfunctional attitudes may not directly lead to the development of high levels of depression, and low levels of QoL. Taking into consideration the specificities of the traditional rural Romanian Hungarian culture, the reasons for these differences in depression and QoL may be induced or catalyzed by other mechanisms as well. Indeed, the significant, though weak correlation between DA and depression supports this presumption. However, the weak correlation between DA and depression in this study might be explained by the fact that we used abbreviated rather than full measures of both DA and depression. Accordingly, in order to enhance Romanian Hungarian cancer patient’s quality of life may be done through the reduction of the levels of depression but not necessarily through intervention only on DA. It is possible that more complex intervention, involving other aspects of life and illness would be welcome. As presented above, in many cases dysfunctional attitudes regarding the illness, the physical and psychological changes produced by it, the uncertainty of future, etc. may lead or exacerbate the distress and depression. This heightened level of depression may change the patient’s quality of life in a negative direction, thus forming a vicious circle: the dysfunctional attitudes leading to, maintaining and/or aggravating depression; high levels of depression deteriorating quality of life; low quality of life sustaining and aggravating depression and so on. One of the most efficient ways to break this circle up might be the direct intervention targeting the change of dysfunctional attitudes, thus reducing depression, which at its turn may improve the patients’ quality of life. This improved quality of life may further on exert its effect by providing the patient emotional comfort in this delicate state, which hopefully may in the long run beneficially influence the unfolding of the event. We hope that our results will help specialists identify factors important in the development of more individual-tailored and culture specific interventions. Beck, A. (1976). Cognitive Therapy and the Emotional Disorders. NewYork, International Universities Press. Beck, A. T., Rush, A.J., Shaw, B.F., & Emery, G. (1979). Cognitive therapy of depression. New York: Guilford. Burns, D.D., & Spangler, L.D. (2001). Do Changes in Dysfunctional Attitudes Mediate Changes in Depression and Anxiety in Cognitive Behavioral Therapy ? Behavior Therapy, 32, 337-369. Chaturvedi S.K., & Maguire G.P. (1998). Persistent somatisation in cancer: a follow up study. Journal of Psychosomatic Research, 45, 249-56. Dégi, Cs. L., Kállay, É., & Vincze, A. E. (in press). Differences in illness-related distress in ethnically different cancer patients (Romanians, Romanian Hungarians and Hungarians). Cognition, Brain, Behavior, 11. Fayers, P., & Bottomley, A. (2002). Quality of life research within the EORTC – the EORTC QLO-C30. European Journal of Cancer, 38, 125-133. Kopp, M. S., & Skrabski, Á. (1996). Behavioural sciences applied to a changing society. Budapest, Hungary: Biblioteca Septem Artium Liberalium. Lam, D. H., Green, B., Power, M. J., & Checkley, S. (1996). Do levels of dysfunctional attitudes predict recovery in major depression? Clinical Psychology & Psychotherapy, 4, 246 – 250. Macavei, B. (2006).Dysfunctional Attitudes Scale, Form A; Norms for the Romanian population. 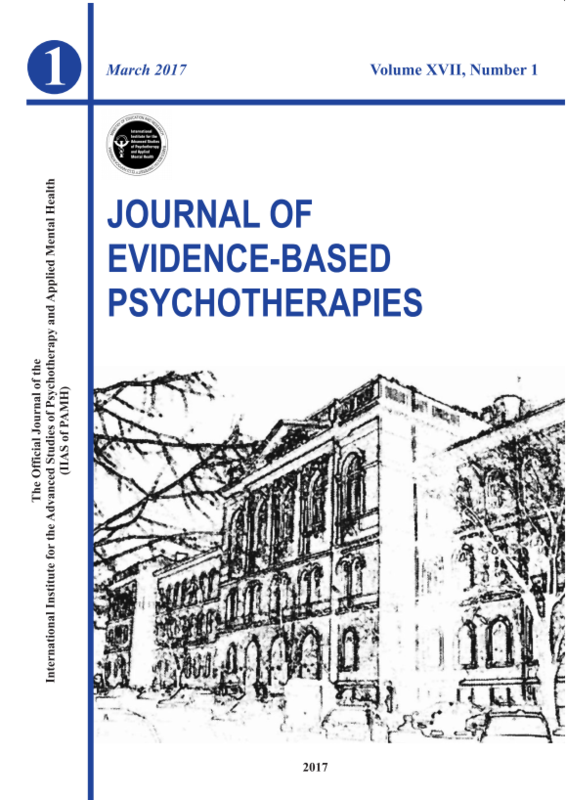 Journal of Cognitive and Behavioral Psychotherapies, 6(2), 157-173. Marton, P., Churchard, M., & Kutcher, S. (1993). Cognitive Distortion in Depressed Adolescents, Journal of Psychiatric Neuroscience, 18, 103-107. McDaniel, J.S., Musselman, D.L., Porter, M.R., Reed, D.A., & Nemeroff, C.B. (1995). Depression in patients with cancer. Diagnosis, biology, and treatment. Archives of General Psychiatry, 52, 89-99. Nordin, K., & Glimelius, B, (1999). Reactions to gastrointestinal cancer–variation in mental adjustment over time in patients with different prognoses. Psychooncology, 7, 413-117. Omne-Ponten, M., Holmberg, L., & Sjoden, P.O. (1992). Psychosocial adjustment among women with breast cancer stages I and II: six-year follow-up of consecutive patients. Journal of Clinical Oncology, 12, 1778-1782. Pojoga, C. (2001). Quality of Life and Breast Cancer: A Review from a Behavioral Medicine Point of View. Romanian Journal of Cognitive and Behavioral Psychotherapies, 1, 57-70. Reuter, K., & Härter, M. (2004). The concepts of fatigue and depression in cancer. European Journal of Cancer Care, 13, 127-134. Spilker, B. (1990). Quality of life assessments in clinical trials. Raven Press: New York. Tross, S., & Holland, C.J. (1989). Psychological Sequelae In Cancer Survivors. In Holland, J.C. & Rowland, J.H. (Eds.). Handbook of Psychooncology. New York. Oxford University Press. pp. 101-116. Vinokur, A.D., Threatt, B.A., Vinokur-Caplan, D., & Satariano, W.A. (1990). The process of recoery from breast cancer in younger and older patients. Cancer, 65, 1242-1254. WHOQOL Group (1994). Development of the WHOQOL: rationale and current status. International Journal of Mental Health, 23, 24-56. 1. I have lost all of my interest in other people. 2. I can’t make decisions at all any more. 3. I wake up several hours earlier than I used to and cannot get back to sleep. 4. I am too tired to do anything. 5. I am so worried about my physical problems that I cannot think about anything else. 6. I can’t do any work at all. 7. I feel that the future is hopeless and things cannot improve. 8. I am dissatisfied or bored with everything. 9. I feel guilty all of the time. 1 My value as a person depends greatly on what others think of me. 2 If a person I love does not love me, it means I am unlovable. 3 If I fail at my work, then I am a failure as a person. 4 I should be upset if I make a mistake. 5 If I do nice things for someone, I can anticipate that they will respect me and treat me just as well as I treat them. 6 I must try to help everyone who needs it. 7 My happiness is largely dependent on what happens to me. 8 People are generally dishonest and selfish and they want to take advantage of others. Below is a list of statements that other people with your illness have said are important. By circling one (1) number per line, please indicate how true each statement has been for you during the past 7 days. Regardless of your current level of sexual activity, please answer the following question. If you prefer not to answer it, please check this box and go to the next section.